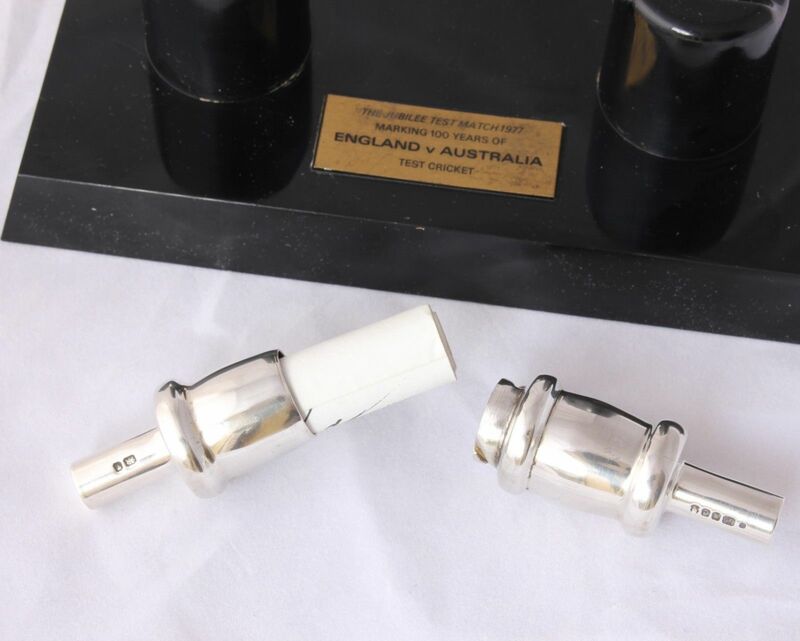 Silver Cricket Bail Signed Australia England Jubilee Test Match 1977. 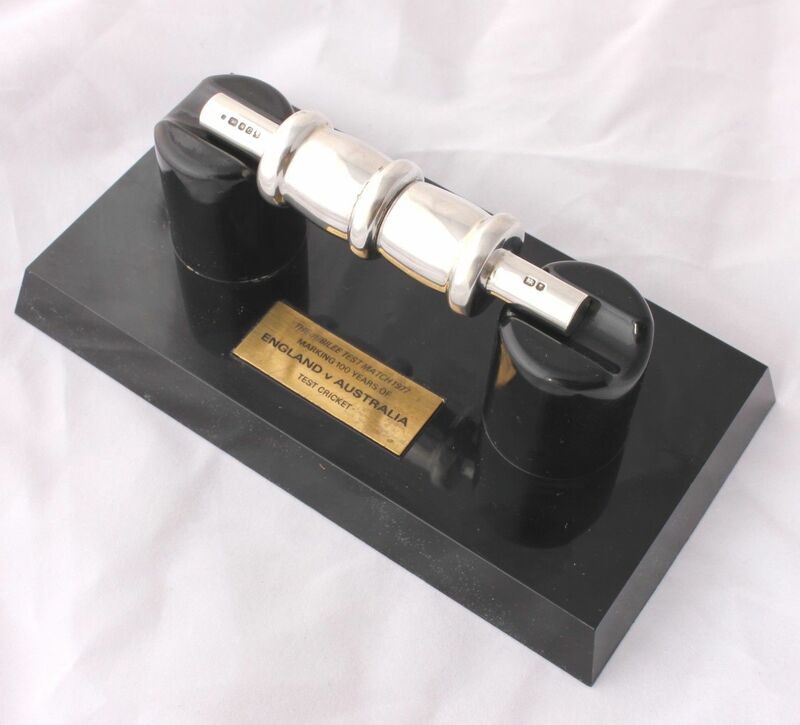 This interesting and rare item of cricket memorabilia is in the form of a solid silver Cricket Bail on a black plastic presentation plinth. 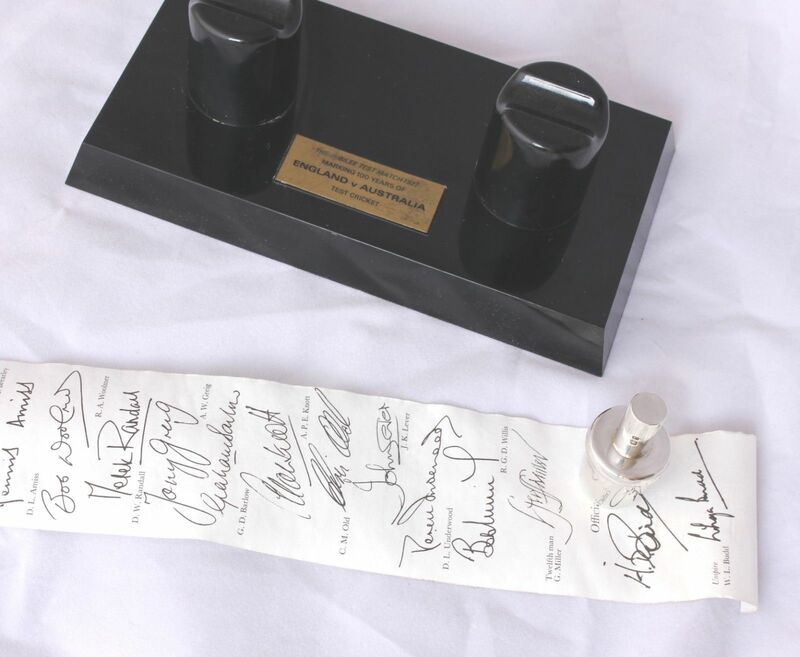 The silver model of a cricket bail unscrews to reveal a paper scroll recording the player's names with facsimile signatures and scores of the Centenary Test Match at Lord's. This Limited Edition collectors item was made by Pobjoy Mint to commemorate the 1977 Jubilee Test and is fully hallmarked 1977. 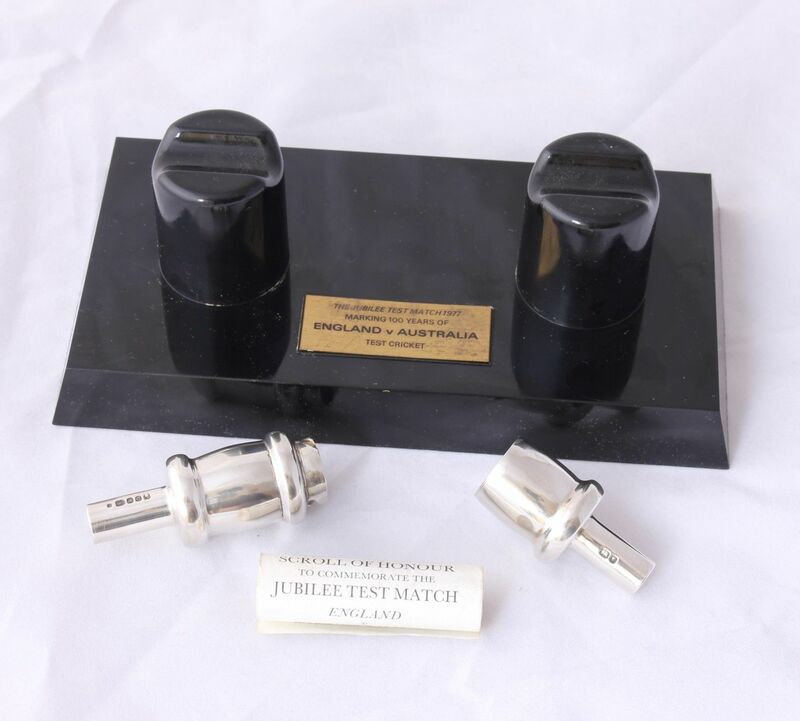 This one comes with the original black plastic presentation plinth which features an engraved plaque that reads - The Jubilee Test Match 1977. Marking 100 years of England V Australia Test Cricket. 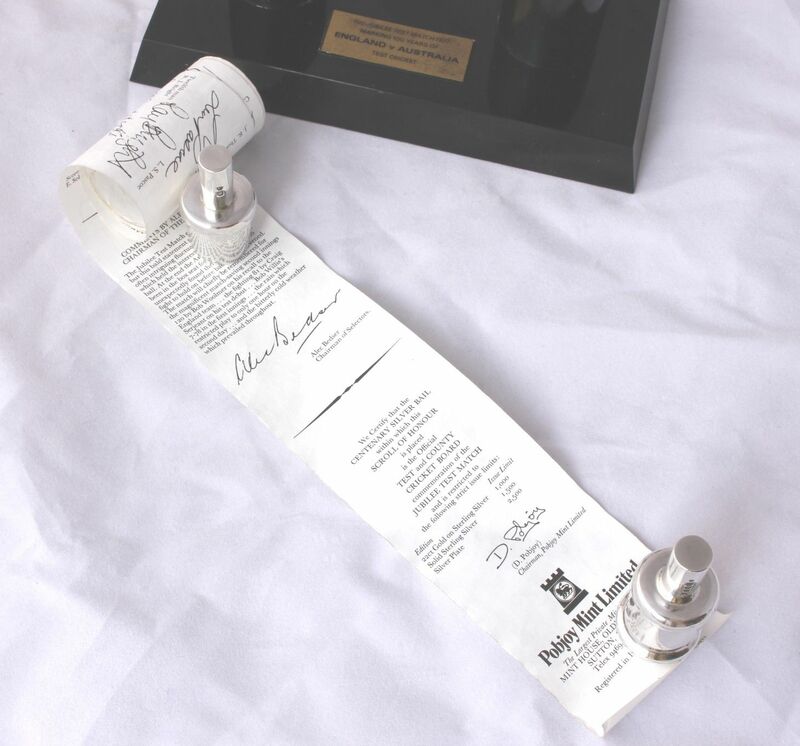 Size: Plinth - W 16cm x D 8.5cm x H 6cm. Bail is 9.5 cm long. 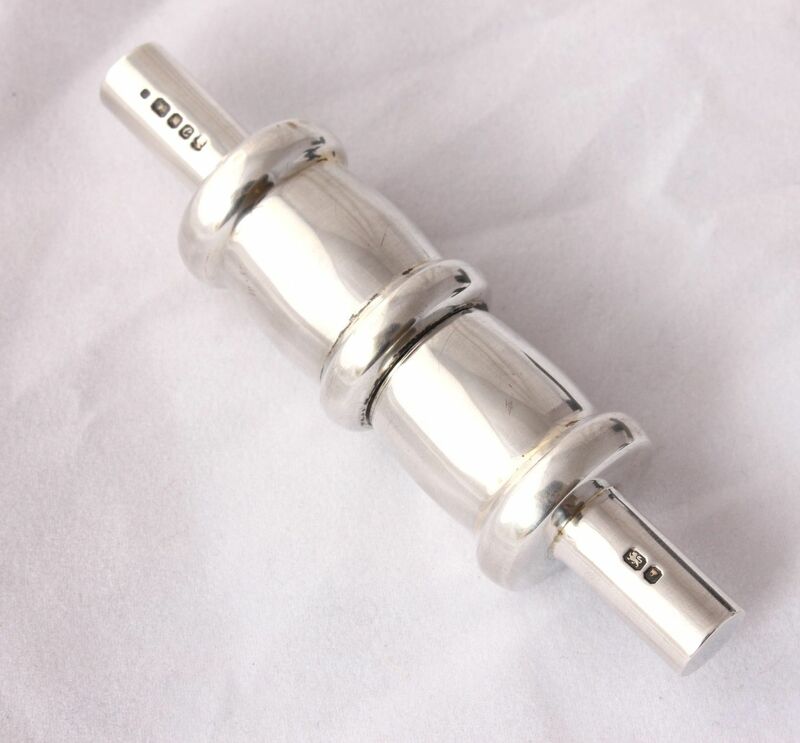 Weight of silver bail only: 60 grams. Hallmark: Lions for Sterling Silver. Leopards Head for London. Date letter c with the Queens head for 1977. Condition: Excellent condition with some very light surface scratches. Silver bail has a couple of very small dings and areas of tarnish. Please see pictures.